It was the 5th annual Harvest Covered Bridge Fest in Crown Point at the Lake County Fairgrounds but my first. It’s an all-weekend affair, beginning in the day with a bunch of pumpkin activities and things for kids plus food, etc. etc. At night however, is the Octoberfest Pumpkin Bash, in the big barn on the grounds. It used to be held only on Friday nights but this year they added Saturday night too – which is when I was there. Crown Brewing supplied the beer (I had its delicious Octoberfest brew). Music the night I was there was provided by Ashley Marlene (Selena, Adele), Vakill, and The Steve Nims Band (Motown). There wasn’t a big crowd and that’s a shame. This thing has potential. The setting is fantastic. 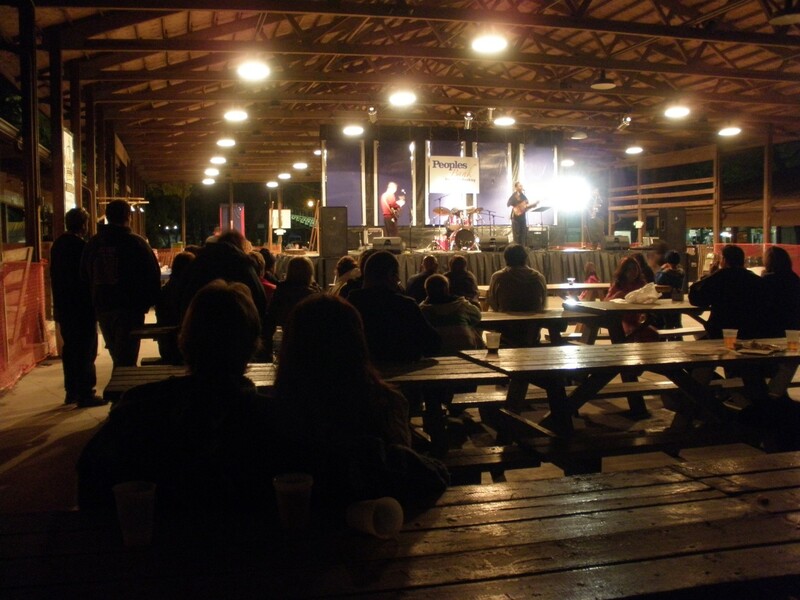 A giant barn, live music, an Autumn setting. It was just a beautiful, crisp fall night. Beer, barn, live music. Plenty of room to dance or get down with your loved one. In two weeks Main Street in Crown Point should be pretty packed for it’s regular Octoberfest (I’ll be there) but this one here deserves better. And the chap with the beard serving the Crown Brews is pretty cool. I’ll be here next year and so should you.